A reason to watch latest Pirates of the Caribbean movie? 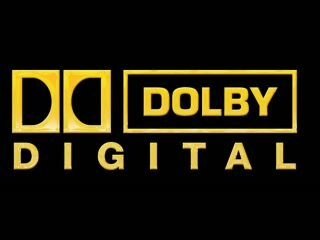 Audio specialist Dolby has announced the first discrete 7.1-channel surround sound entertainment experience available to streaming media. The first film to get the treatment (in the US of course) is Pirates of the Caribbean: On Stranger Tides – which offers up the Dolby Digital Plus 7.1 audio. The more cynical might suggest that the more distractions provided from the actual movie the better, so sounding good is a distinct improvement. "We're thrilled to announce that the first entertainment content for an over-the-top or broadcast environment has been released in 7.1-channel surround sound, the best possible audio experience available for this type of delivery," said John Couling, vice president, products and platforms, Dolby Laboratories. "It's great to collaborate with a leader in HD streaming like VUDU to enable consumers to enjoy the latest 7.1 films. "Today is just the first step. We look forward to having the opportunity to work with additional content providers to deliver premium-quality 7.1 surround sound to more consumers." Apparently, more than 30 films have been mixed in 7.1 for theatrical release, and that can now be translated to your home cinema via the wonders of streaming. Isn't the future grand?